Director YIM Phil-sung assembled a fine cast and a great team of experts, the result is a well-crafted film, finely calibrated on every level. 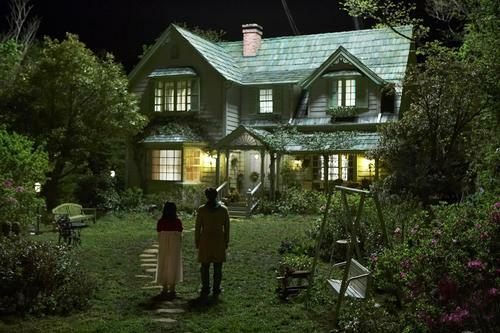 Production designer RYU Seong-hee’s (The Host, A Bittersweet Life, Memories of Murder, Oldboy) fairy tale world is beautifully shot by director of photography KIM Jee-yong (A Bittersweet Life). The visual style is at times complemented and at times contrasted by the music of LEE Byeong-woo (King and the Clown, Voice of a Murderer). The result is a warm fairy tale feeling; but some unsettling events are foreboded, tangibly in the air. The palpable darker edges create tension early on and keep the viewers captivated. The child actors admirably sensed the particular atmosphere of the film and their awareness – in combination with acting skills – is another highly beneficial factor to the collaborative achievement that is Hansel and Gretel. The oldest of the three children is a boy with paranormal abilities played by EUN Won-jae. The oldest girl is portrayed by SHIM Eun-kyoung and the youngest girl is a role by JIN Ji-hee. When the adult protagonist – played by CHUN Jeong-myoung – encounters them for the first time, the children seem to be family, however, a rather unconventional one. The children immediately feel close with the man and after the mysterious disappearance of their ‘parents’, the children subtly steer him into a father role, even though he repeatedly insist on leaving because of his own family. Along with the man we discover the secrets behind the children, their isolated house and the surrounding mysterious woods. Like in his previous film Antarctic Journal, director YIM contemplates again on the human condition in a remote location where common laws don’t apply. In the human’s ‘nature versus nurture’ debate, he seems to tend to see the human cultural side as a superficial coat, one easily uncovered to bare the naturalistic instincts in aspects like humanity, sanity, society, and – in this film – family. The film indirectly criticises the orphan condition in Korean society and it offers interesting comparison with representations from other cultures. Even in a rather grim Japanese story as Battle Royale, the orphans are portrayed as happy and likeable. They grew up in orphanages with a loving and professional caretaker. The situation was/is very different in <?xml:namespace prefix = st1 ns = "urn:schemas-microsoft-com:office:smarttags" />Korea, even though, the two countries were similarly faced with a high number of orphans since the end of World War II. Hansel and Gretel scrutinises the fact that Korean orphanages and related social care were not professionalised. Instead, Korean orphanages were mostly passages for international adoption. Hansel and Gretel shares the troubled representations of orphans/adoptees in other Korean popular media like the television drama Sorry, I Love You; the film Dasepo Naughty Girls. Hansel and Gretel succeeds very well in avoiding the trap to make the children caricatures. The children are well-crafted characters with a wide range of emotions. The fairy tale setting is specifically effective in representing their naïve childlike image of the world and concepts like family. They crafted this world according to their desires. The fantasy world within the real world also isolates the location, like the orphanage of the children used to be isolated from society, allowing malpractice and shaping the children into their current state. Once when visiting a screening and discussion at a Korean film festival, someone commented that she was really impressed by the documentary about the disillusions of an adoptee after she found her birth parents. On the other hand, another film was unrealistic because of the happy end for the adoptee. Immediately an adoptee jumped up in surprise, “Why can’t we have a happy end?” was his rhetorical question. Whether the orphans of Hansel and Gretel will have a happy end, will rely on whether they will develop from their initial stage into independent children who realise that they don’t need parents to be happy; their future is like a yet unwritten fairy tale.